Celuplast are suppliers of maintenance free building products that include bathroom paneling and flooring as well as manufactured aluminium Bi Fold and Lift and |Slide doors. We have a full showroom in Baldoyle for trade and general public use. 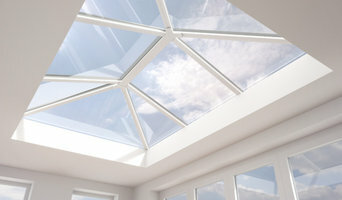 We also manufacture and fit the Guardian Warm Roof which is a fully insulated replacement roof for conservatory glass and polycarbonate roofs. 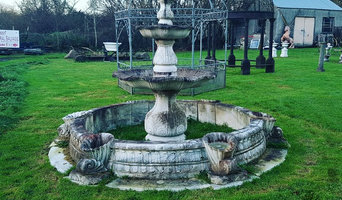 Kilkenny Architectural Salvage Kilkenny Architectural Salvage provides a happy hunting ground for anyone looking to add that authentic touch to restored properties and developments. We supply a range of 100% Pure SheepWool Insulation and Acoustic Underlay products to the market. All made from and containing ONLY 100% Pure SheepWool. 100% Pure, natural, breathable and life lasting. Healthy insulation can naturally do more. Laydex Building Solutions, founded in 1995, is the leading supplier of the most complete and innovative range of building products available in the Irish Construction Market today. Suppliers to retail & trade customers of high quality architectural ironmongery products. LikeStone Ireland are distributors of natural, manufactured, Brick and rendered stone cladding systems. LikeStone offer a number of stone cladding products including - Cluster Stone a manufactured stone panel, brick tile a manufactured tile, Stone Clad a natural stone panel and Flex-c-ment a rendered cladding overlay system. 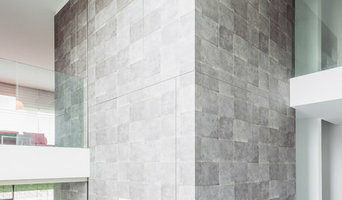 LikeStone have been supplying and fitting stone cladding products in Ireland since 2005 and are leaders in the industry. Our product range is suitable for interior and exterior application. We work closely with our customer to ensure quality and satisfaction no matter how big or small the job. OSB Group are the leading suppliers of sheet materials and complimentary products to the furniture manufacturing and shop-fitting industries throughout Ireland. We opened in Cork in 1978 and have sustained growth with an extensive range of quality products. 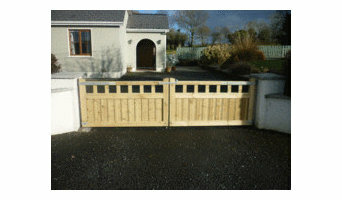 We operate from Cork, Dublin and Mullingar on a next-day delivery basis covering Munster, Leinster and Connaught. 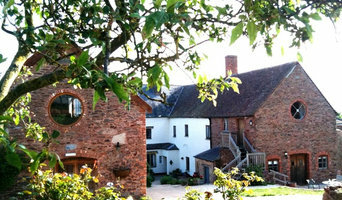 In an ever demanding marketplace OSB Group strives to meet and exceed expectations through quality, service and choice. Seamuz is a cloud-based collaboration tool for residential home renovations and constructions. Seamuz is focused on the home owners, who own the construction project and their relevant data, it helps them to make right decisions at the right time. A unique and key feature of Seamuz is its predefined structure, a true plug and play concept. Why should I use building merchants and timber suppliers? If you want to leave the building material selection to your hired contractor, architect or designer, then you probably won’t need to talk to builders’ merchants, but it is a good idea to do so if you plan to be more hands on with your project. Timber merchants will be able to supply you with any wood materials you need for flooring, kitchen worktops, skirting boards, doors and more. The type of timber they can supply may depend on the supplier, but most will sell varieties of hardwood, plywood and softwood; suitable for a range of uses. If you’re after reclaimed building materials for a lived-in, vintage look, then plenty of timber merchants now offer reclaimed, salvaged or recycled wood for you to use as floorboards or wall cladding. If it all seems a bit overwhelming, building merchants will be able to advise you on the advantages of choosing certain materials. Or, you can rely on building contractors, architects and designers that may be working on your house project with you to advise or select your building materials for you. Here are some related professionals and vendors to complement the work of building supplies: Specialist Contractors, Landscape Contractors, Home Builders, Main Contractors, Design & Build. Find timber and building supplies on Houzz. Narrow your search for timber merchants and builders merchants’ by selecting the nearest city or postcode. Find trusted building merchants and building suppliers with reviews from residential builders, interior designers and homeowners.